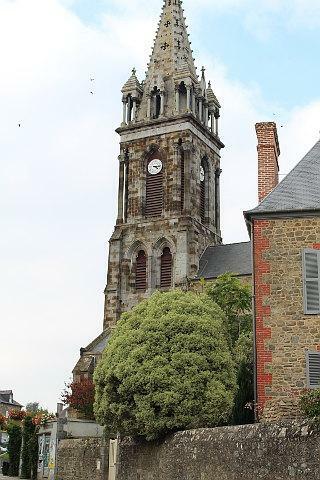 Combourg is found between Rennes and St Malo in north-east Brittany, in the Ille-et-Vilaine department. It is a pleasant town dominated by the important Chateau de Combourg. 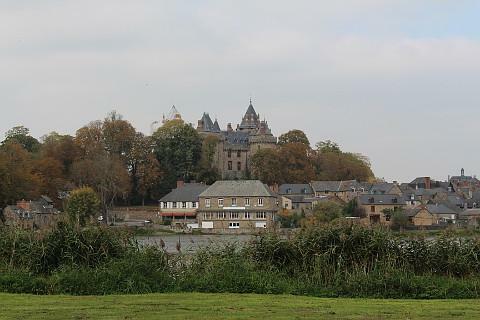 Before visiting the town it is useful to know that Chateaubriand, the romantic French author, lived in the castle at Combourg for a while in the late 18th century. Although his stay only lasted a couple of years Chateaubriand said that the stay much influenced his writing - and the town are keen that the association be remembered. 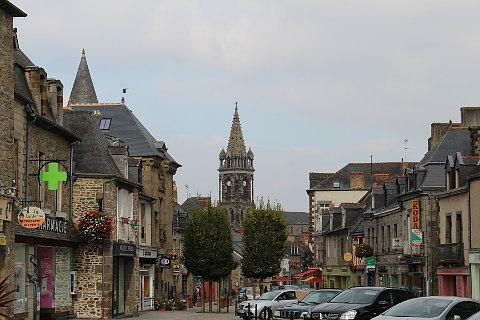 Although the castle is the main attraction in Combourg, and where you are likely to start your visit, be sure to also allow time to explore the town centre...you can find Combourg Tourist Office - now called the Office of Tourism of Romantic Brittany - at 9bis rue Notre. The impressive multi-turreted chateau that dominates the town was originally built in the 11th century and rebuilt in the 13th century, although substantially modified in the two centuries that followed, notably by the addition of towers so that now it has a tower on each of its four corners. In 1761 the castle was bought by the Chateaubriand family (parents of the author) and subsequently inherited by the author's older brother in 1786 - an ownership that wasn't to last long, because in the years of terror following the revolution in 1789 they were executed. The castle is still owned by one of Chateaubriand's descendants, and is open to the public where, among other things, you can see various artefacts belonging to the late Chateaubriand and rooms furnished in the style of that time. The chateau is also surrounded by well-maintained landscaped gardens so allow plenty of time for an amble or a picnic. 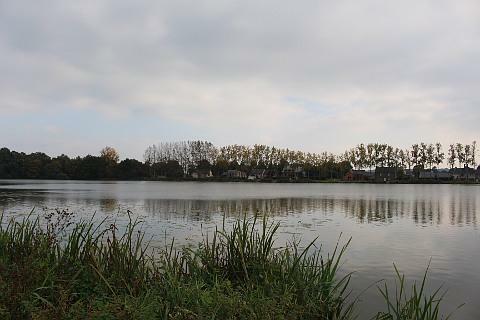 The castle sits on the lower edge of Combourg close to a large lake. Although not actually on the lake edge you can get some nice views across the lake to the castle from the other side of the lake. 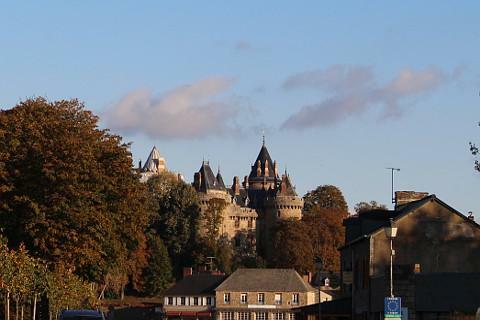 Although the castle is the best known monument in Combourg, there are several other sites of interest. We suggest you start your exploration of the town at one of the finest buildings in the town centre, the Maison de la Lanterne'. This is on the main shopping street in the pretty centre of Combourg. This road leads onwards to the chateau and the Maison de la Lanterne was originally built as a watchtower for the castle. It has had various different owners since but until the revolution each owner was asked to light the lantern for the foire de l'Angevine. This was the only lamp in the town and the only occasion in the year that the lamp was lit. Chateaubriand is said to have remarked that this was the only occasion in the year when one sensed something approaching joy in the town! This fair still takes place every first Monday of September as it has since the year 450 AD. 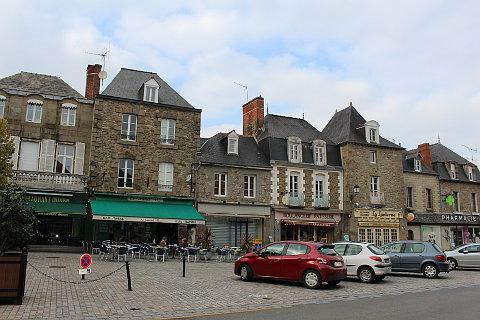 The centre of Combourg is made up of houses and shops in a mixture of the local granite stone and some still covered with crepi. Strolling around the old town you will also see a couple of half-timbered buildings and a substantial 19th century church. The weekly market in Combourg takes place on a Monday. Another chateau of interest to visit nearby is the Chateau de Landal to the north of Combourg. Also to the north you will want to visit both Dol-de-Bretagne and the nearby pretty village of Mont-Dol. Not far away to the south-west is the small town of Becherel which as well as being very pretty is home to many bookshops and known as the 'village of books'.